These look so yummy! Want to give Cookie Dough Bites a try for free? 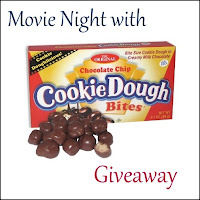 Enter the giveaway below for a chance to win a case of Cookie Dough Bites and a Redbox movie! 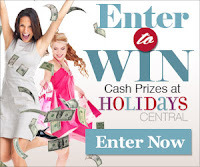 After you enter, please leave a comment. Thanks! Disclosure: I received no compensation for this publication. My opinions are my own and may differ from those of your own. Frugal Follies is not responsible for sponsor prize shipment. Please contact teri@mompoweredmedia.com with questions! What an interesting giveaway. I hope I'm lucky. 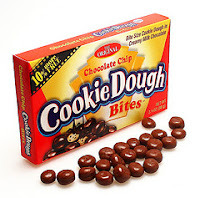 I learned that initially Cookie Dough Bites were only available in movie theatres. I want mint chocolate chip cookie dough bites. I have never heard of these, but I think any of them would be a hit around my house! The Red Velvet cupcake bites sound amazing! Would love to try! Red Velvet cupcake bites YUM! Didn't know they have red velvet bites!! Ooh, I want to try the Red Velvet bites! The red velvet cupcake bites are calling my name. I love the Dark chocolate bites. I like to try the Red Velvet cupcake bites. I want to try the red velvet bites! The red velvet bites sound yummy! I would love to try the Cupcake Bites. I think the Mint Chocolate Chip dough bites sound amazing! I want to try those cupcake bites with sprinkles. I learned that there are recipes using Cookie Dough Bites....fun! I want to try the Dark Chocolate Cookie Dough Bites.. I used to get the original ones when I went to the movies more often. 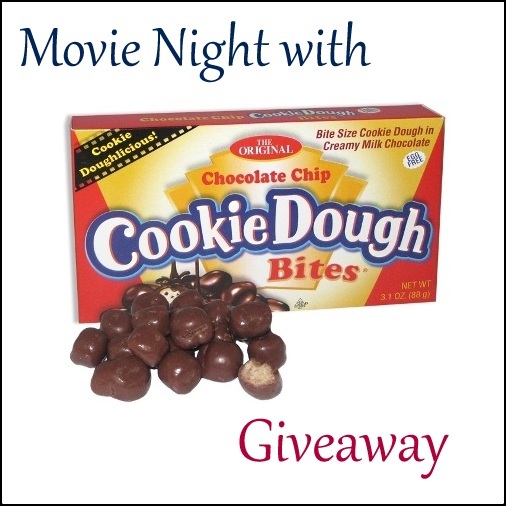 My children love getting movies from Red box and cookie bites would make it even more special! OMG!!! Red Velvet Cupcake Bites! I will be hunting these down. I gotta try them. They have a lot of fundraisers. The Red Velvet cupcake bites look good. I would love to try the peanut butter bites!